Commercial Roof Repair Newark | Roof Repair New Jersey | Roof Inspection 07102 - S & S Roofing Inc.
At S & S Roofing, we provide quality service with unparalleled customer service. Our team of professionals has over 30 years of experience and is ready to help solve your commercial and low-slope roof needs. Let us help you keep up with your commercial roof maintenance, repairs, and routine inspections. Whether we installed your roof or another contractor did, S & S roofing can help. 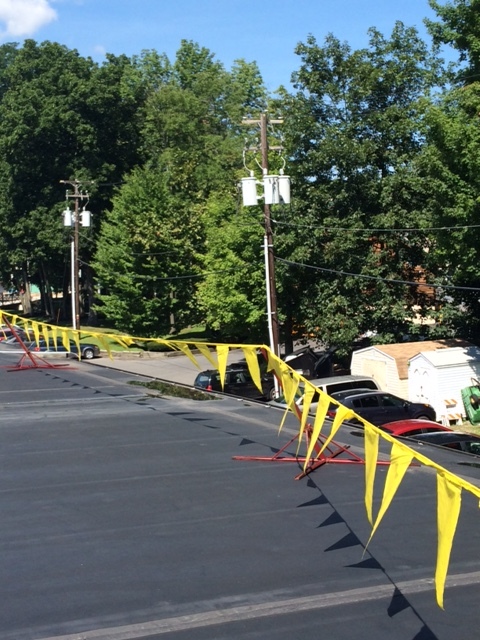 Trained to identify leaks, potential problem areas and more, your commercial or low-slope roof is in good hands. Completing thousands of projects on the east coast, our purpose is to provide the best maintenance and customer service available. Named a Firestone Master Contractor of 2016, S & S Roofing has the reputation to back up our claim. Keeping up with necessary inspections throughout the year or after a bad storm can help ensure the longevity of your investment, and protect the safety of the patrons in the building. Looking for a leak? S & S Roofing provides a non-invasive roofing scan to detect leaks in the structure without compromising it. We are fully equipped to repair leaks, punctures, flashing, and more. Ask us about our liquid applied roofing systems! Contact us today to schedule an inspection or visit our service pages. Proudly serving the Newark area.